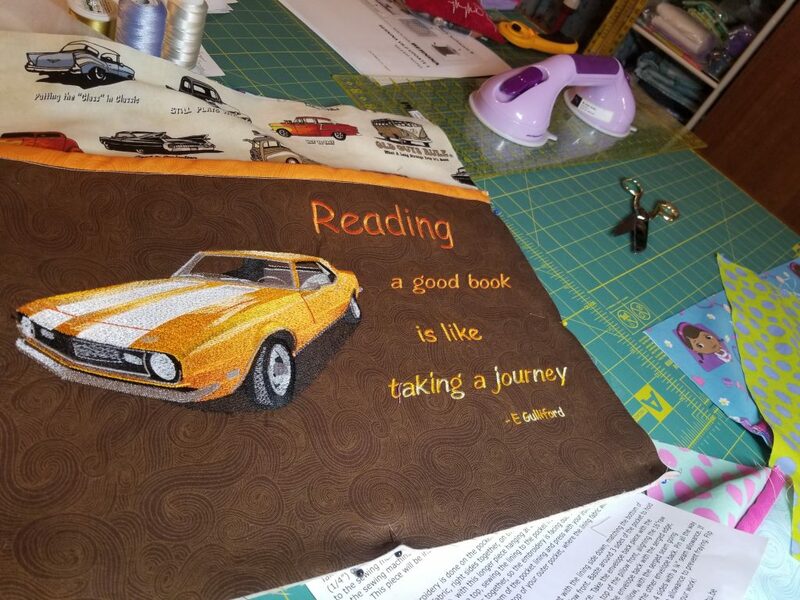 Cathie wanted to stitch this car on a reading pillow for her grandson. His favorite color is orange so she did a great job of choosing colors! I think it turned out a lot more than just OK Cathie! I be he loved it.